After our camper van rental in Iceland, we were dying to relive the fun of sleeping in a car and wild camping. 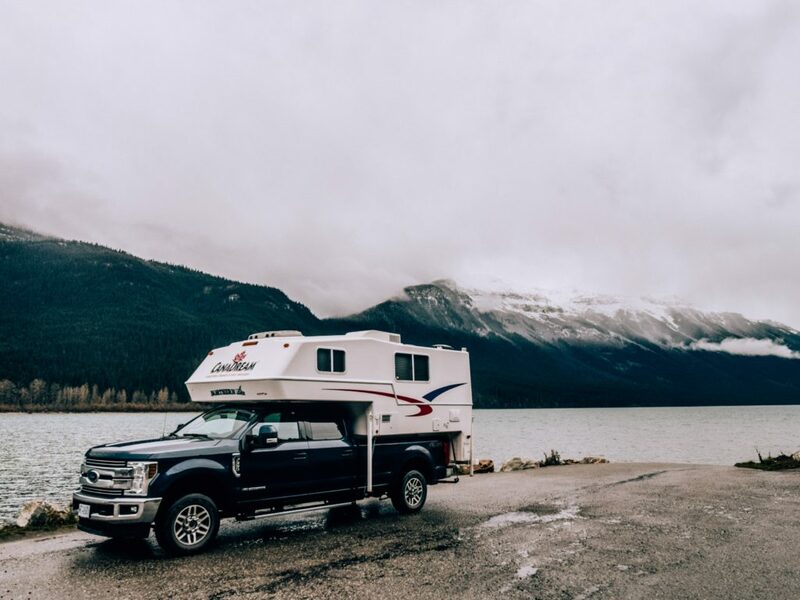 This time we opted to head to the Yukon and drive down to Jasper and Banff, and we found the perfect RV to rent. We were super excited to have a shower and a toilet! What was also great was the fact that we basically had a kitchen and living room area as well which was a big upgrade from our bed in the back of a Jeep Wrangler in Iceland! One thing we did not realise was that we would need together a complete run through of how to use all of these features on our RV. We were now responsible for maintaining and monitoring our water, waste and even gas usage. It was all a little overwhelming at first especially because we got in at 10pm and trying to focus after travelling all day was pretty tough. Eventually we got the hang of it, after we left the water heater on all day and went through a can of gas in 2 days. Renting an RV definitely has its pros and cons but for us, the pros definitely out weigh the cons. One of the major cons was the learning curve of running the RV, we didn’t realise how much work we had to do! It was a fun experience learning something new together though and we wouldn’t change that. 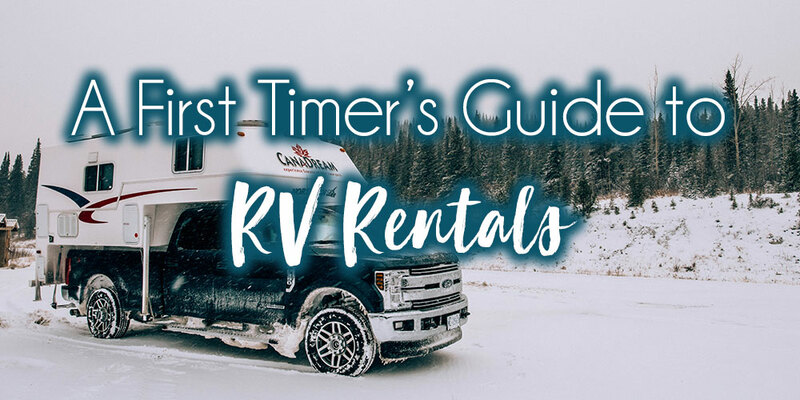 We wanted to share some of the things that we learned along the way for other first time RV renters! Other than your rental fee and insurance you will have to pay for gas and on top of that you may have to pay for campgrounds with RV hookups. Some places along on Yukon to Calgary road trip offered free sewage dumps and other places charged for it, this was also the case for fresh water. I know you are probably thinking, ‘well duh!’. There were a few times when we would just pop inside for lunch and then forget to put things away securely and they ended up on the ground when we would come back in. Also our RV had glass cups… make sure you wrap all the glasses. We hit a fairly bumpy road but luckily we only lost one of the glasses. We were spending 2 weeks in the RV so we unpacked and put away our backpacks and used all the cupboard space available to us so we could stay a little bit more organised. It is really easy to lose things in a small disorganised space like a RV, so unpacking and giving everything a home made it much easier for us. Now it’s down to the nitty gritty. We had our fridge settings on 5 which was the coldest setting, but we actually didn’t need it that cold. This caused us to use up a lot more propane than we should have in our first couple of days. We put our fridge setting down to 1 which kept everything at the perfect temperature. Make sure you open at least one window by the stove while you are cooking, it gets pretty hot and you don’t want the food smell lingering too long. We cooked very basic stuff in the oven and just boiled veggies on the stove. We also opted to cook bigger batches off food when we reached a campsite. I actually steamed 10 chicken breasts in the microwave one evening and then used the cooked chicken in simple meals for the rest of the trip. It also saved us baking chicken in the oven every night which saved us some propane! Your grey water tanks are made up of water from the sinks, and the shower. This is something that you need to monitor while you are travelling in your RV. Trust us, we ended up having a bit of a back up and our greasy kitchen water ended up backing up into the shower and then we had to clean the shower and empty the tanks at the nearest stop before we could run any water again. A good practice is to try and find a dump site when you reach 2/3 full on your indicator. Better safe than sorry! This is also something you need to monitor. We found it hard to find fresh water refill stations in October along our route as most were closed up because of cold weather. We did get a fill up at one gas station but as a back up we kept our gallon jugs of water and reused them to collect glacier water from the rivers to use for washing dishes and flushing toilets, just in case we ran out. Try and find a refill station when you reach about a 1/3 on your indicator. The gross part… This is the toilet water. A good tip to reduce the amount of times you need to empty this would be to use public toilets as much as possible. Again a good rule of thumb would be to empty this at 2/3 on the indicator. We learned our lesson with the grey water and definitely did not want to make the same mistake with the black water. It’s best to try and empty the waste water tanks when you reach your campsite in the evening as it can take a little while until they are fully emptied. As stated, the best thing to do wold be to pull up at a camp site and connect and empty your waste while sitting in the warmth of the RV. Step 1: Find or buy rubber gloves. Step 2: Connect the drain tube to the waste pipe. Step 3: Connect or place drain tube into the sewage dump hole. Step 4: Release the black water valve and pray you’ve connected everything correctly. Step 6: Close black water valve and open the grey water valve. Step 7: Check the grey water tank and then close the valves. Step 8: Undo the connection at the RV first and then let remaining liquid drain into the sewage dump hole. Step 9: Place the drain into its storage compartment, wash hands. Step 10: Add the toilet chemical to water. Carry on adventuring. Make a mental check list to turn off all lights, water heater, stove, oven, everything before you head out. Also do not do like us and pick the easy way out by just switching off the main battery to the RV. This actually disconnects the battery which means that the solar panel which was charging ours could not charge it during the day. This means that during the night the spark that the battery provided for the propane to run the heating system was no longer there…. which basically means we had to drive around at 1am to recharge our battery so we could stay warm. Keep an eye out to see if there is a no overnight parking sign or no camping signs. The last thing you want is to be woken up in the middle of the night and have to drive on to find a new spot to camp. Further up North we had no problems just pulling over and sleeping as there was hardly anyone around, but as we reached Jasper and Banff there were a lot more signs and a lot more people around. We did manage to camp out by Pyramid Lake in Jasper National Park but I think we were lucky as it was the Dark Sky Festival and there were many people out doing photography in the middle of the night. One of our Lunch Stops! Hopefully these tips are helpful for your first RV trip. Most RVs have similar set ups but the systems in place may be different, ours was a propane based RV which means that most of our necessities ran off of propane, not solar. 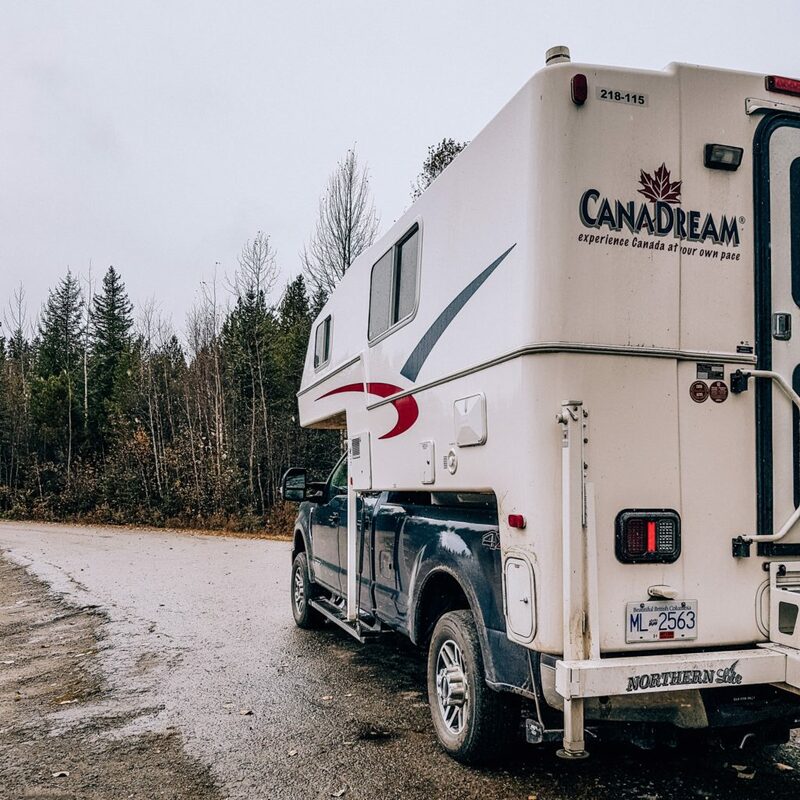 If you are interested in checking out our complete budget breakdown for our RV trip through Canada then you can see that here. You can also check out some of our essentials for a campervan rental and of course our itinerary and guide for campervanning along the Alaska Highway in October.